Once deprived of powerful bikes, it is raining 200-250cc motorcycles with manufacturers planning to launch at least one in this segment. As a result, existing players are also on their heels and are upgrading their current offerings with new features and more power. Obviously, by ‘powerful’ we are referencing Indian market as the base. Nonetheless, if you are in the market looking out for a bike between 20-30bhps, here is a list of the top 5 most awaited 200-250cc motorcycles that are coming to us within a matter of few months.We are listing them in order of their craze. Do share in the comments section if you agree or you differ with the rankings. 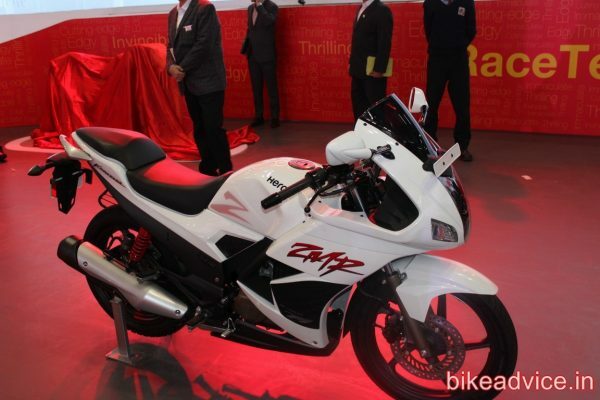 When Hero unveiled the 2014 refreshed Karizma R in India, there was a huge hue and cry with people blaming Hero for killing the legend of ‘Karizma’! Many people have started liking the design, many others stay of the same opinion. Nonetheless, Hero is going ahead with the launch very soon within a couple of months at max. Apart from the cosmetic changes, the new 2014 Karizma R produces higher 19.2 bhp of power output from the current 17bhp that Karizma R produces. What difference had this power bump made, we are unsure but Hero does claim a 0.02 seconds quicker 0-60kmph dash. We also expect a price increase when the new 2014 Karizma R goes on sale shortly. GD250N is the first all-new product coming from the stables of Hyosung after a lot of years. The angular naked GD250N comes with a new 249cc single cylinder engine generating power output of 28bhp and 25Nm of torque. With a low weight, GD250N should translate into a nice power-to-weight ratio scorcher. The model that was kept on display at the Auto Expo wore MRF tyres hinting at the preparedness of the motorcycle for the Indian market. 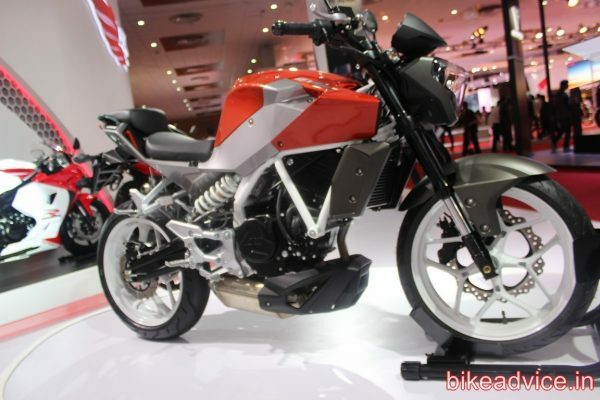 GD250N is expected to be launched within the coming 3 months at an expected price bracket of around Rs 1.5 Lakhs. If you loved the older Ninja 250R, you will love its naked as well! The Z250, although not officially confirmed, is definitely coming to us very soon. The parallel twin 249cc motor is the same which we have all ridden and loved, albeit in an even better avatar. It produces 33PS of power output and 22Nm of torque. 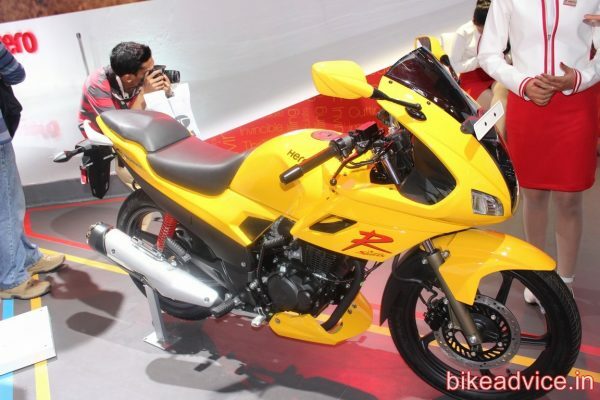 It will be imported in India as a CKD and will be the costliest of all the motorcycles listed here. We expect a price tag of somewhere around 3.0 lakhs or under. Launch is expected by June-August this year. Love it or hate it, it is coming to the town! Contrary to the ‘R’ which is benchmarked against the older fantastic looking Karizma, 2014 Karizma ZMR actually manages to look better than the disproportionate outgoing model. It gets a fairly significant 2.4bhp of power increment and an improved 0-60kmph dash in 3.6 seconds. The fuel injected bike will be launched along with the sibling Karizma R and at an expected premium over the current ZMR. Without any iota of doubt, the upcoming Pulsar SS200 is the most awaited motorcycle in this segment. With those really aggressive projectors, bulky streamlined fairing and that look, expect the supersport to create quite a buzz in the market when it goes on sale within the coming three months. 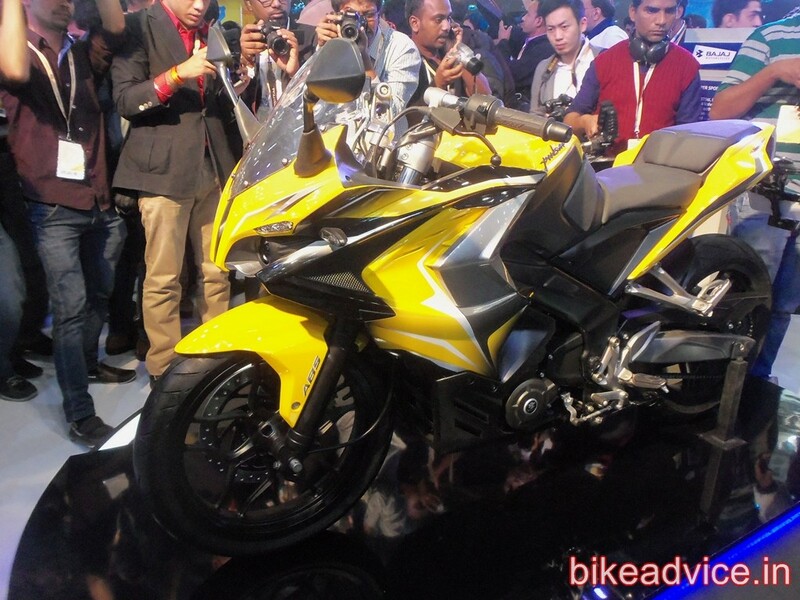 Pulsar SS200 will share its looks with the bigger Pulsar SS400 and will get the same 200cc engine from Pulsar 200NS albeit with fuel injection as well as an expected optional ABS. 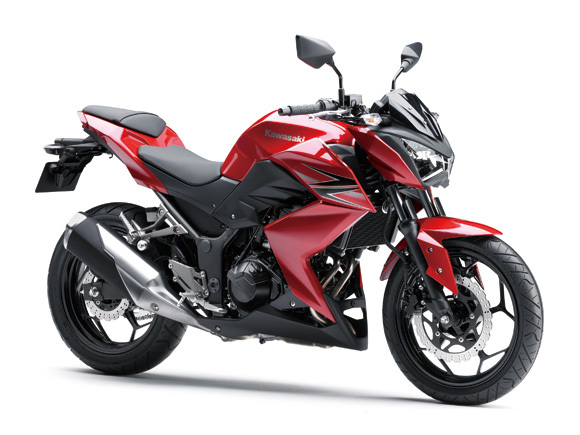 Pulsar 200SS will be the first ever faired Pulsar coming from the stables of Bajaj and is expected to be priced around Rs 1.2-1.3 Lakhs. 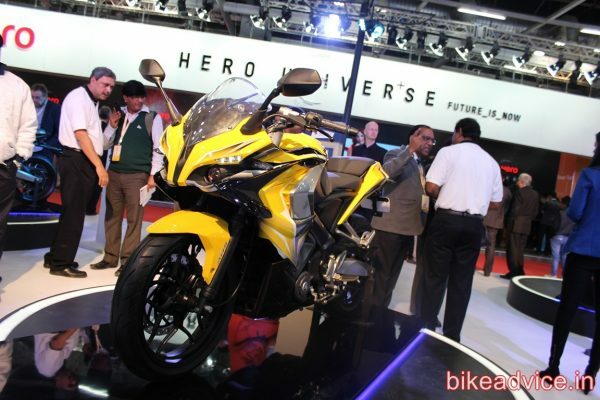 Pictured above is the Pulsar SS400 and the 200SS will be very similar. Quite a lineup this, ranging from nakeds to sports, single cylinders to parallel twins and across a wide price range. No matter if you have a budget of either Rs 1+ Lakhs or 3 Lakhs you can buy one from this list. And if you are buying one of these, do share which one in the comments section below.